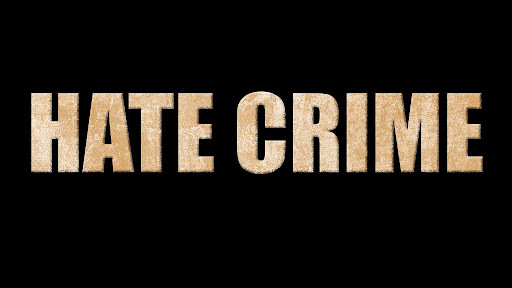 Today we have for you horror fans a Slasher Studios exclusive: an early review of the new thriller Hate Crime. The film is Written and directed by James Cullen Bressack, the 20-year old filmmaker who has been rocking the independent horror scene for a few years now. Shot in Big Bear, this film revolves around a family that has just moved to a new town. The young boy, Alex, is at home having a birthday dinner with his parents and siblings. Then, without warning, some unexpected guests show up to crash the party and change this family forever. Hate crime is packed with non-stop action from beginning to end. Many scenes are very sick and twisted and if you are easily offended, you may want to brace yourself. This film is raw and disgusting in nature, I would be interested in hearing how life on the set was. With most of the film portrayed to be shot in real time, Hate Crime is sure to build interest. The masking of the cuts to enhance the real time feel was executed very well and is reminiscent of Alfred Hitchcock’s Rope. The fact that this is also a found footage film also very likely to get people talking. With found footage saturating the market as of late, it will be interesting to see if audiences will take the bate. Although the film had a few production drawbacks, the found footage aspect creates a very forgiving environment and is actually not a bad way to produce an indy film on a small budget. With only a small amount of gore, Bressack relies heavily on the acting performances to help deliver the uneasy feel. This troubled emotion is achieved for the most part, but unfortunately, the acting is hit or miss with some of the cast. Nothing terrible by any means, but as tensions run high for the characters, a few of the actors frequently leap into overacting mode. The raw emotions of these characters are such an intricate part of this film, the less than perfect acting, at times, takes away from the rush of emotions the audience wants and needs to feel. The winning standout is Debbie Diesel who plays Lindsay. She is by far and away the shining star of this film. With a solid acting performance and strong screen presence, Diesel plays her role as a very likable and believable character. You root for her from beginning to end. With a running time of just over an hour, Hate Crime serves up a unique and well paced film. It’s extremely graphic and over the top, but if you believe you can handle it, be on the look out for this film as it is sure to find it’s way into festival play in the near future.